Your biggest investment loss is the money you never spent on investment. Guy: Then where's your f** Ferrari? 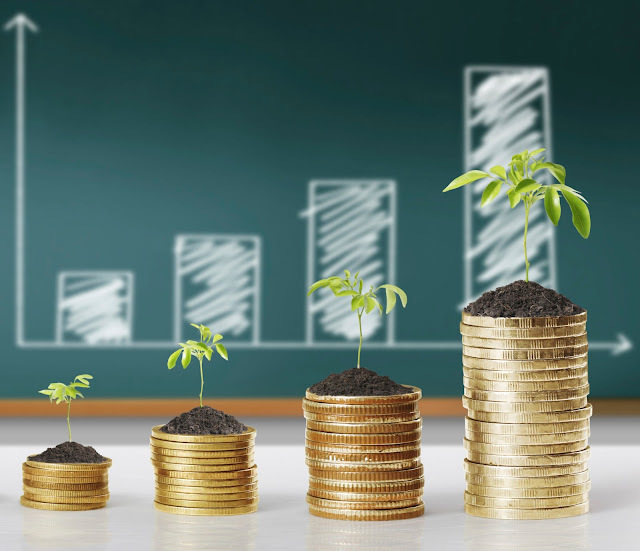 If you've done any significant digging into the investment world and how to max out your investment gains, you would, no doubt, have come across the magic of compounding and the miracle of having a savings habit. "If you started at age 25 saving NGN10,000 a month at an annual rate of 12% for 40 years vs if you waited till you're 39 saving NGN20,000 a month at same annual rate of 12% for 26 years; at age 65 you will end up with NGN122 million in the first case and NGN44 million in the second case despite contribution more in absolute terms in the second case. You would have saved NGN4.8 million (NGN10,000 x 12 months x 40 years) in the first case vs NGN6.24 (N20,000 x 12 months x 26 years) in the second case, yet you would be a lot less richer, by NGN 80 million, in the second case." That is the magic of compounding interest when you start early! So when you think your money is too small and you are too young to focus on saving/investing, you might be incurring your greatest investment loss. Just starting early in itself can make you way richer in the end than starting with a larger sum later in life. The problem is that our brain is not naturally good at handling delayed gratification and grasping the magic of compound interest of years. It is a lot easier to spend your extra NGN90,000 on a new iPhone than go put it in an investment account when you are 25 years old. You can't easy comprehend that the N90,000 at 12% annual rate will ultimately become NGN11 million in 40 years. Even if someone shows you the calculation you will still find it a lot easier to dismiss than do, thinking who wants to wait 40 years. And then the 40 years will come and that seed opportunity is forever lost and you are NGN11 million less rich. Like the Ferrari joke, we are quick to dismiss all the analysis. It is a lot easier to see the people not doing it (our friends and family) than see the people who earned the bulk of their wealth from the magic of compound interest (like Warren Buffett). So what is your best investment strategy? In case it has not become clear to you from my illustrations: it is that you should start with whatever you can right now and make investing a habit. And as long as you are not stupid enough to make really really bad investment choices, you will end up a lot lot richer in the end for it. 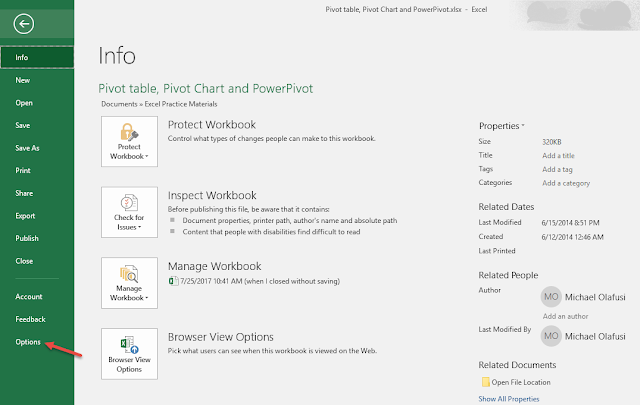 Office 365 is updated monthly, so no more waiting three years for new significant features. 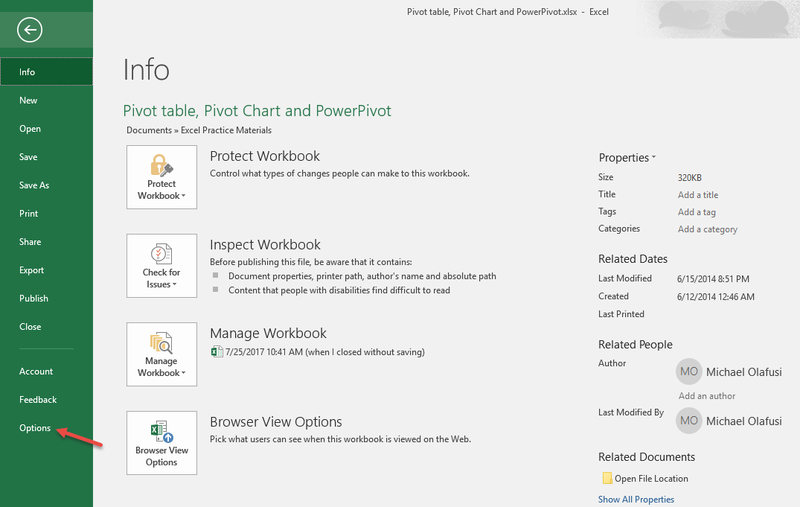 Before now, you buy Office 2007 or Office 2010 or Office 2013 and then wait for the next major version for any significant feature change. You mostly get bug fixes and minor feature updates till that next major version that often takes three years. 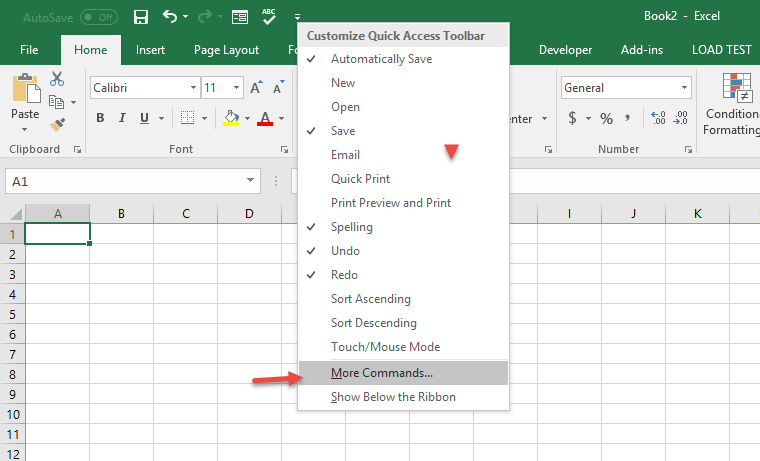 Now, with Office 365, you get a monthly stream of significant feature updates/additions. 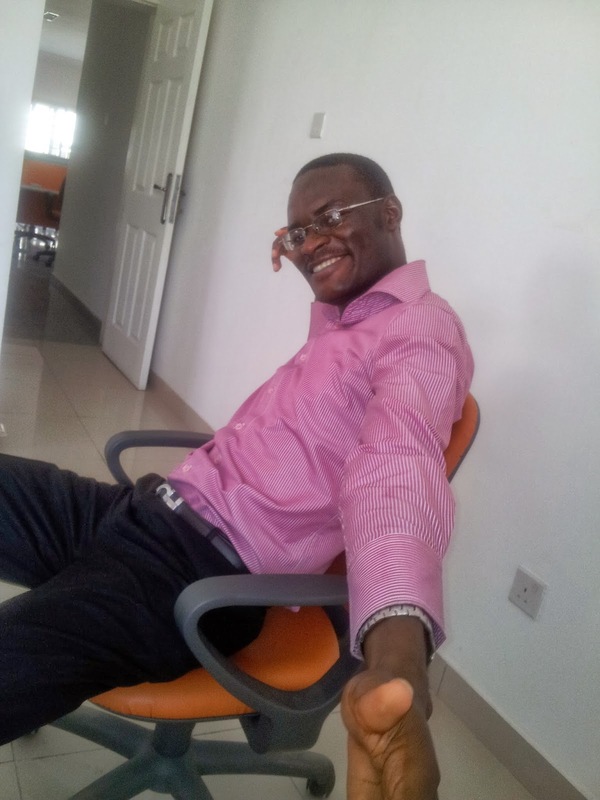 In 2014, after I was taken for Nigeria Leadership Initiative Associate Fellowship and we were done with the two weeks seminar, we committed to doing a project and required some level of collaboration on planning the project phases and execution. We were all scattered across the world, many of us in Nigeria but the ones outside Nigeria seldom stay in one place/country. 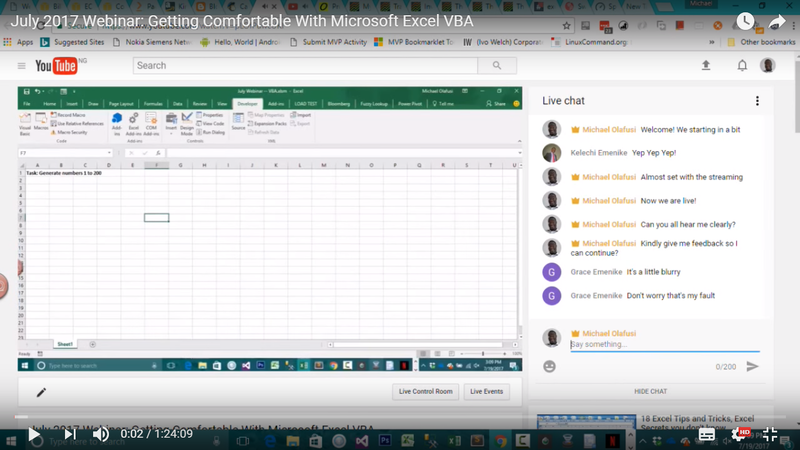 We used Skype and other tools that helped us work together in realtime. One of the tools was Google Docs. All of us could type into the same document at once and see what the other person did instantly. Good news, you now have that in Excel. All you need do is save the file on OneDrive, share the file with your co-collaborators and right from Excel (not just the online Excel version), you can all work together on the file in realtime. There is an autosave that syncs yout work/changes instantly for others to see. 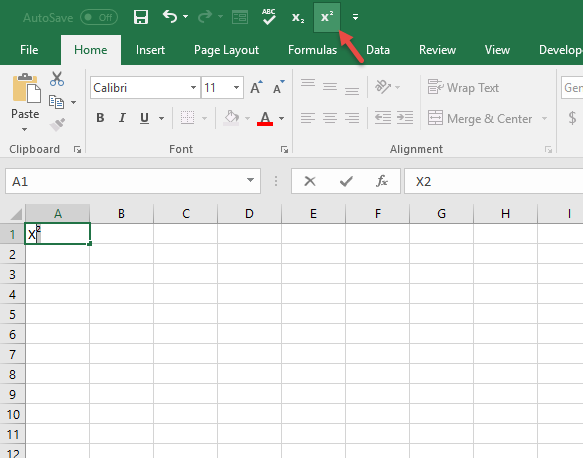 For those in the technical or engineering line, no more long trips to putting a superscript and subscript in your Excel. Now you can just pin them to the Quick Access Toolbar and use in one click. 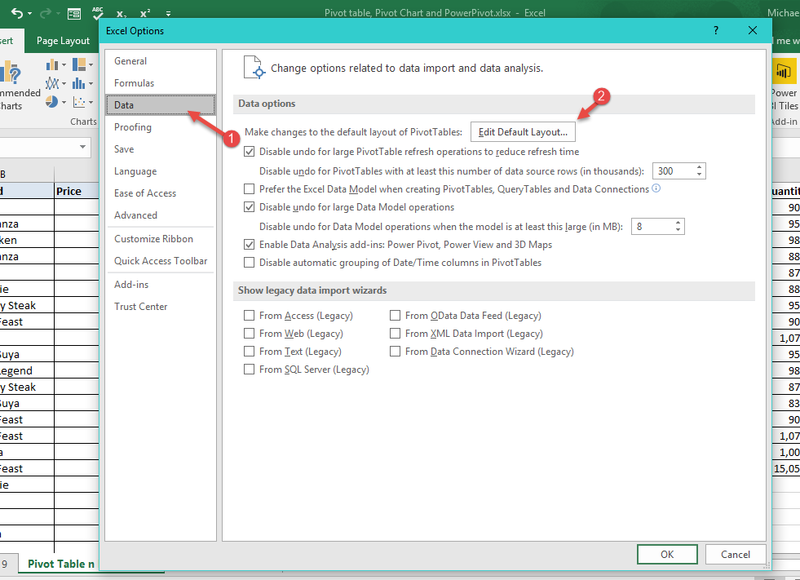 You can now work with 3D models in Excel. Really cool! Just visit the Insert menu. Again, you'll find them under Insert menu. 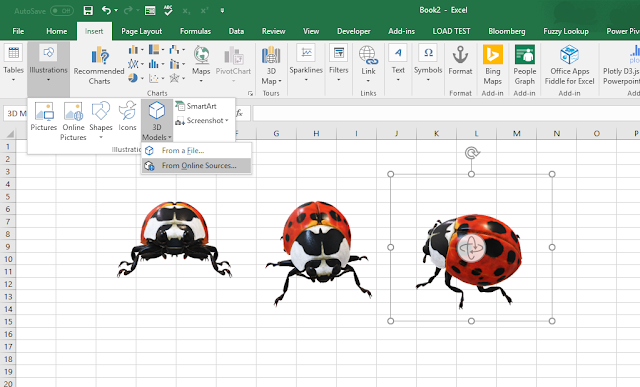 Now you can create your own infographics from scratch in Excel using representative vector images. Just set your own defaults. Those are just ones I can make out time to share for now. 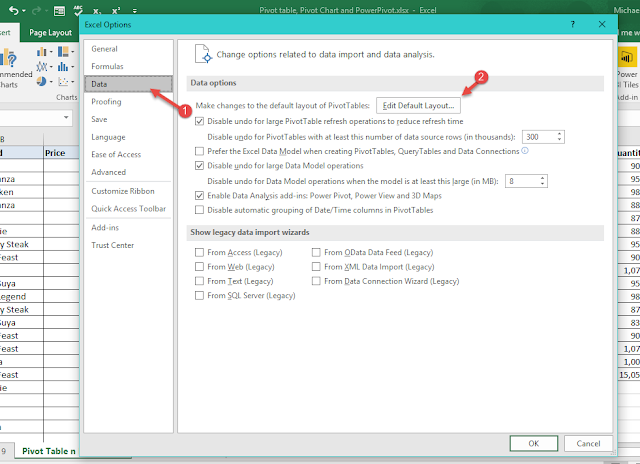 I have seen lots of new stuffs in the Data menu, especially with the Get & Transform section of it. Same with the Insert menu. And there is a new standalone Add-ins menu. 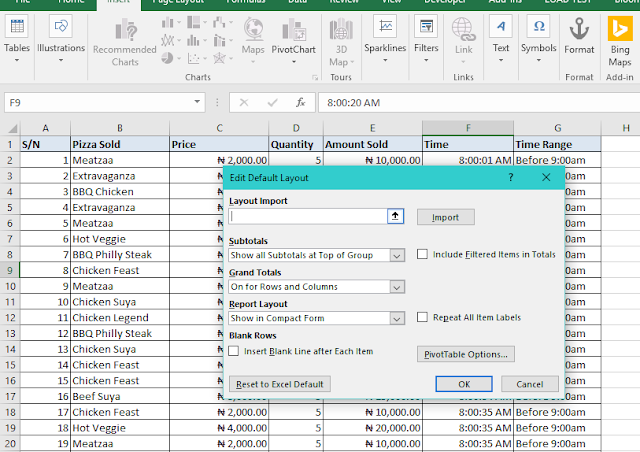 Excel is becoming more exciting month-on-month! 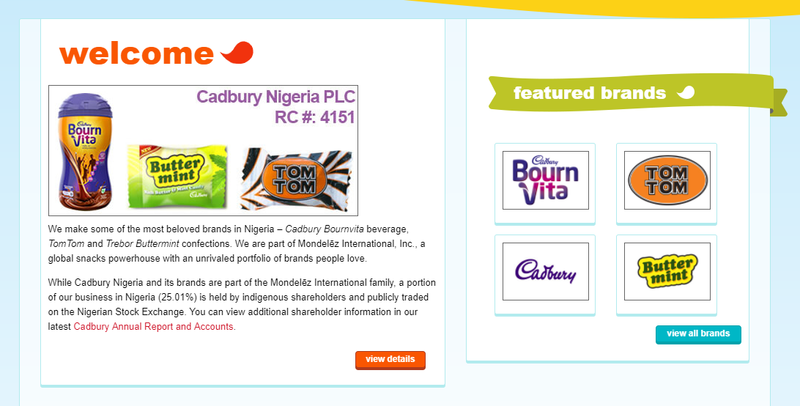 As much as I love Bournvita (I prefer it to Milo and Ovaltine), I wouldn't buy Cadbury Nigeria's shares. When you buy a company's shares you are betting on two things: that the company is going to grow earnings/profit reasonably (reasonably for me means above 15% average annual growth rate for a Nigerian company except when there is an unusual economic or business situation like how recession hammered Nestle's earnings) and that the company shares are reasonably priced. 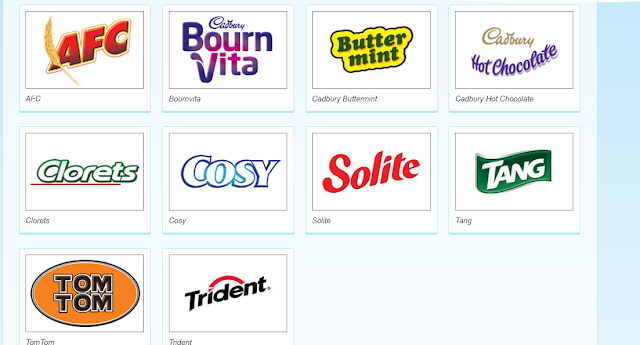 Below is Cadbury Nigeria's last 12 years Revenue and Net Profit trend. Even if you say the recent recession has made business tough for FMCGs in the country, well, Cadbury Nigeria's problems started before the recession. So I am not enthusiastic about its future earnings performance. It currently spends 77% of its revenue on Cost of Goods Sold (raw materials) with barely enough to cover its operating expenses. Yes, it's understandable that the Naira crash impacted its input cost negatively but even before then it has been spending above its peers on raw materials as percentage of revenue. As for its share price, I don't see any bargain in it. The current return on assets is -2.82%, return on equity is -7.20% and return on investment is -5.20%. Yes, all those profitability ratios don't make much sense once you are dealing with a net loss; my main concern is that I don't see any radical positive turnaround in the near future for Cadbury Nigeria. I expect (hope) it goes back to profitability this year but not one big enough to take its current price as a bargain. It's current market valuation is N23 billion and even if I were optimistic enough to say it will go back fast to profitability and generate as much profit (of N1.15 billion) as it did pre-recession period that would be giving it a P/E ratio of 20. 20! I can point out more than 20 companies with realized profits and a sure 2017 bigger profit selling at half that P/E ratio. Except you are into short-term speculative gain making, you can easily do a lot better than investing in Cadbury Nigeria shares. Yesterday I met up with an old friend who is now a regional manager for the company he works for and based in Abuja. We are having our quarterly training class in Abuja this weekend and I am already in Abuja to ready all for the training. We discussed a lot of things and one of them was on preparing oneself for success. We both studied Electrical Electronics Engineering at the same university, FUTA, but we took completely different career paths. Not just that we ended in very different industries and job roles but that even our journeys to our current career were very different. 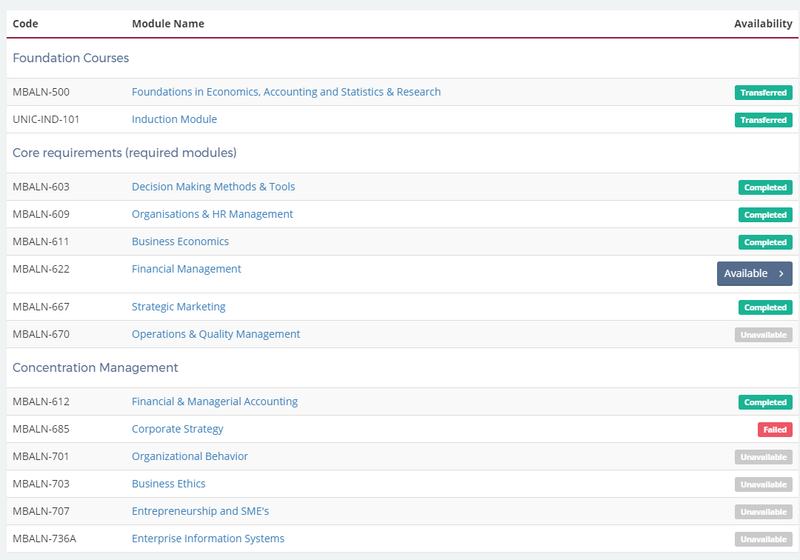 This formed an interesting part of our discussion and led us to conclude that nothing we are taught in the academic environment prepares you for success in the real world. That one has to deliberately chart his own course and sow seeds that give rise to success. 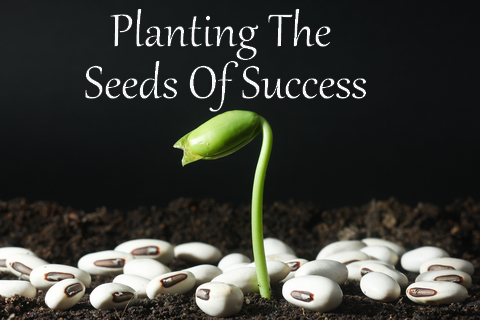 So what are those seeds that give rise to success? God and the following below. The number one seed of success is to be focused more on what value can I add/provide than what can I get. If you focus on what economical good you can do wherever you are using whatever you have, then you will automatically acquire valuable skills and cashable attention. People will notice you for good and someday pass opportunities your way. I owe my career to this seed. In the beginning, when I was just fresh out of school, I did a lot of things for free for people. I would go out of my way to help someone else with their problems. And when I joined any community or professional club, I tried to always add value even by doing menial tasks voluntarily. And I can tell you that every good I did in those days collectively catapulted me to where I am today. The jobs I got while in paid employment, the mentoring I got while trying to set up my own business and the clients I get now that I run my own business are mostly the result the referrals and opportunities I got from people who appreciated my for-free efforts. People who noticed me when I was insignificant and were willing to take a bet on me because I came across as a dependable and hardworking person. I am not a hugely successful person but the little significant success I have experienced were results of having to first give before expecting to receive. What separates the influencers from talkers are results. The reason two people can be interviewed on TV and people would set reminders to not miss one while they will barely notice the other is that one person has proved his worth very well before the interview. This is the reason why we buy self-development books written by hugely successful people rather than the one written by our neighbour/friend/colleague even after going for his book launch. And you know what generates results? Actions. Bold actions. Dangote is where he is today because he took some bold actions. And you will also have to be comfortable with taking bold actions if you want to stand out and be hugely successful. Bold actions don't necessarily mean borrowing millions to pursue a business idea. It could be letting go of your comfort zone. It could be cutting out unhelpful friendships/relationships. It could be doing that thing you have always been talking about. It could be starting a new career altogether. And it could be resigning your job to go after your passion. Success is not achieved by what you plan to do but by what you actually did. Together they build you a solid integrity. For any lasting and sustainable success, you need to be a person of integrity. Someone people can count on and trust. At least, they need to see you as capable of being counted on and trusted. Due to my overwhelming workload, I am becoming less dependable. But there was a time I was a shining example of diligence and honesty. I would do what I said I would do even if it would cause me harming myself; it was that bad/good. And I don't know how to deceive people. Unfortunately now, even though I put in more aggregate efforts to be dependable and not give people wrong impressions, I hit natural limits. I find myself not able to do all I have committed to doing and hard to stop giving in to people's requests. So the inevitable has been happening -- unrealized promises and feelings of being deceived. Luckily, I still thoroughly enjoy the fruits of those shiny days when I was almost flawless. And some people cut me acres of slack because they understand my new situation. I get many offers of opportunities, partnerships and friendships than I can handle. And those are what I consider seeds of success. 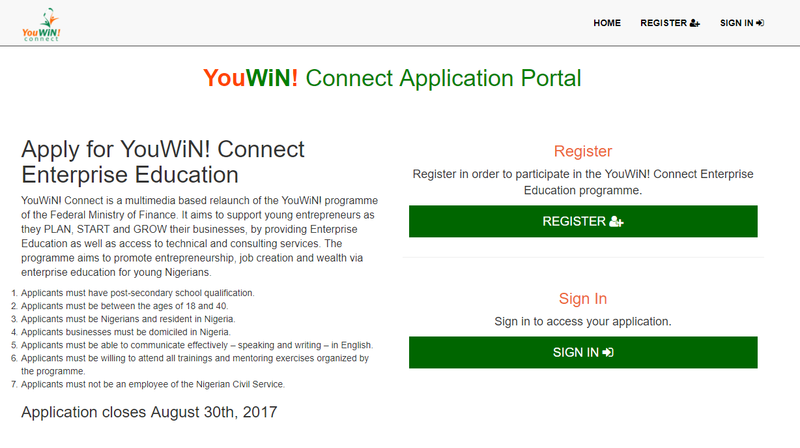 Seems FG has restarted the last administration's YouWin but with some tweaks. If you are interested, below are the details of this current run culled from the new YouWin website. YouWiN! Connect is a multimedia based relaunch of the YouWiN! programme of the Federal Ministry of Finance. It aims to support young entrepreneurs as they PLAN, START and GROW their businesses, by providing Enterprise Education as well as access to technical and consulting services. The programme aims to promote entrepreneurship, job creation and wealth via enterprise education for young Nigerians. 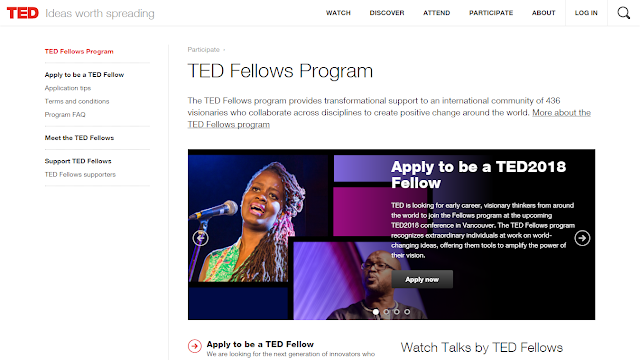 Applicants must be willing to attend all trainings and mentoring exercises organized by the programme. First, it's just a mere coincidence that Oando is the first in my series on stocks to avoid. I have nothing personal against Oando nor the company managers. All my points are strictly from an objective and investment perspective. And as no one knows the future, you shouldn't take my word like it's God's. What better way to introduce Oando than using their own very words from their 2016 annual report on their principal activity. 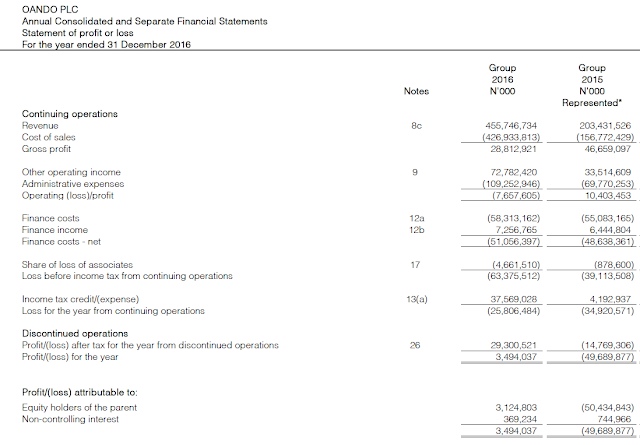 The principal activity of Oando Plc. ("the Company") locally and internationally is to have strategic investments in energy companies. a) Exploration and production (E & P) - Oando Energy Resources Inc., Canada, engaged in production operations and other E & P companies operating within the Gulf of Guinea. b) Supply and distribution of petroleum products - Oando Trading Dubai and Oando Trading Bermuda. c) Pipeline construction and distribution of natural gas to industrial customers - Alausa Power Limited. a) Marketing of petroleum products, manufacturing and blending of lubricants - Oando Marketing Ltd (formerly Oando Marketing Plc) and other petroleum products marketing companies. c) Supply and distribution of petroleum products - Oando Supply and Trading Limited and Ebony Oil & Gas. d) Energy services to upstream companies - Oando Energy Services, and other service companies. 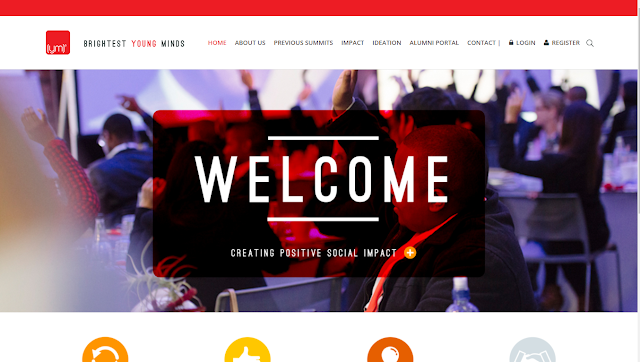 The Company’s registered address is 2 Ajose Adeogun Street, Victoria Island, Lagos, Nigeria. 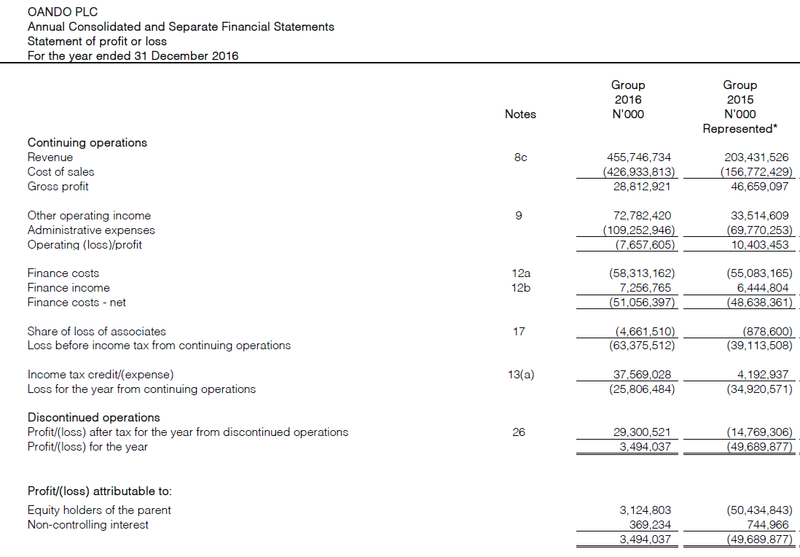 Just so you wouldn't think I am cooking up the figures, below are the snapshots of Oando's revenue and net income for the last four years. So now you should trust my chart below of the Revenue, Net Income and Total Liabilities of Oando for the last 12 years. Net Income is the green line, Revenue is the blue line and Total Liabilities is the red line. Don't think that the green line is on zero. Oando obviously operates a very low margin business but one also of very high revenue. So those net income figures you are looking at are all in billion naira. The number one red flag for me is that Oando is in a very margin sensitive section of the industry. It spent 93% of its revenue on COGS (Cost of Goods Sold) in 2016 and 77% of revenue on COGS in 2015. Somehow, it is having a very tough time passing any increase in its production costs to its customers, and that is a big red flag in my investment analysis. Number two red flag is that its debt is worryingly high. Too high for me to sleep easy putting my money in the company's shares. 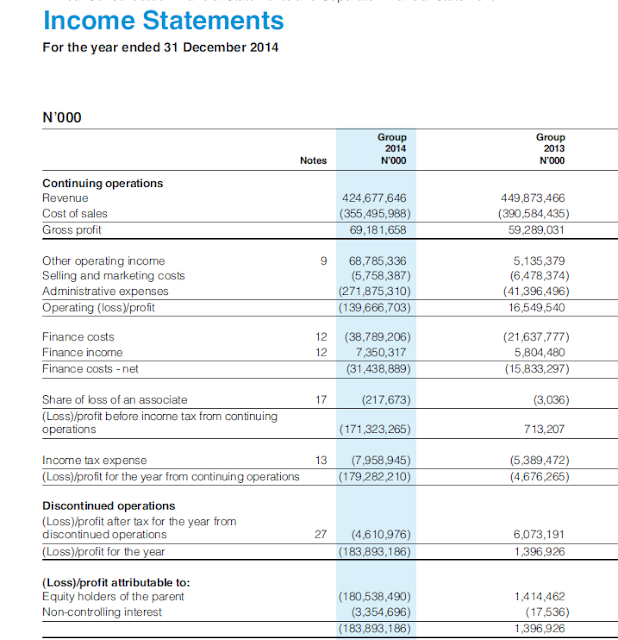 Just take a look at its Total Liabilities, see how it's gone way high above its revenue. That breaks a lot of gearing ratio signals. Number three red flag is that the industry is a very troubled one. Until I see a clear improvement signal in that industry, I would rather put my money to work in another industry company's shares. And what makes things worse for Nigerian upstream companies is that they are not innovators. They import almost everything -- even to manpower. The US shale companies at least are innovating and bringing down their cost of production; the big IOCs are technology leaders. Our dear indigenous oil producing companies have no innovative edge that helps them better face the troubles in that industry. Finally, all the audited RO's are low. Return on Equity is at 3.93, Return on Assets is at a very poor 0.32, Return on Capital, despite the heavy leverage, is at 10.51 and Return on Invested Capital is at 5.03. 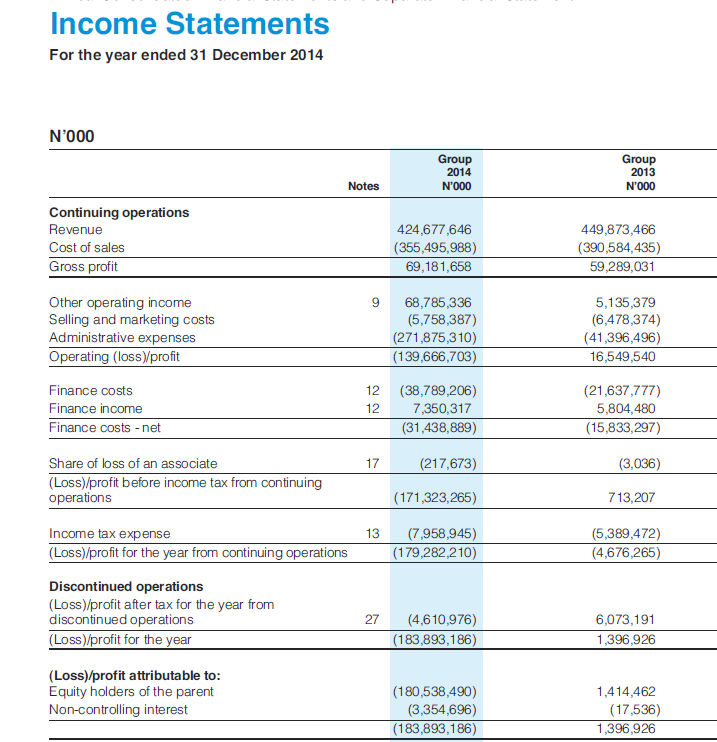 And it's same for all the margins: 6.32% for Gross Margin, 5.94% for EBITDA margin and 1.84 for Operating Margin. If you are not a speculator, trying to make a quick bucks of market volatility, then I'll say you should stay clear of Oando shares for now. I have been getting worried by the aggressive bond sales by the Federal Government in the last one and half year. My initial worry was that it was crowding out private sector loans, making it more difficult and very expensive for companies/businesses to access loans. Banks would rather borrow the government, via its treasury bills and bonds sales, and be contented with its theoretically worry-free guaranteed unusually high 18% yield (return) than give itself migraine over private sector borrowers. Also, it was crowding out investments. People with money and who would have put it to some business use are now putting it in treasury bills. But then, I understood what the government, CBN specifically, was trying to achieve. CBN's paramount concern is inflation rate. Keeping it within its target bounds, which for some years now has been below 10% (single digit). So since the Oil triggered Naira crash that caused inflation to rocket, CBN has been mopping up liquidity to bring down the amount of Naira chasing scarce dollars by putting in place anti-market FX rules and selling bonds like crazy. And it is working. Inflation has stopped rising, and, impressively, is now falling. But the government is now drunk on borrowing. It is now beyond curtailing inflation, the new goal bandied around by our finance minister is "to reflate the economy and fund capital projects". So we now go borrowing dollars like it's the late 1970s. We are now undoing all the gains we made with the Paris club debt cancelling. The very things that happened in the late 1970s and early 1980s that ultimately made us almost drown in debt in the early 2000s are now happening again, and I don't think there will be any international club to save us in the future. Currently, we spend over 60% of our government revenue to service loans. So now, the reason we can't fund our national budget is no longer just because our oil revenue has dropped but because what is left after paying creditors can no longer sustain us as a nation. And this is very worrying. World Bank is even getting worried on our behalf. IMF has been even more vocal since last year. Below is the our debt profile as published by the Debt Management Office (DMO) as at March 31, 2017. To help put things into perspective, last year the total Federal Government revenue was N2.97 trillion. And from DMO, in just the first quarter of this year we spent N474 billion to service our domestic debt and N39 billion to service our foreign debt. That is a total of N513 billion in just first quarter of the year. So let's make a very conservative assumption, that the government is not trying to blow up its loan books further and will just refinance old loans, then we can roughly expect the government to spend about two-third of its annual revenue on debt servicing. But from all the signals coming from Madam Kemi and Oga Udoma, we are just getting started with the borrowing spree. Personally, my worry is double fold -- that buying bonds/TBills is no longer very financially sensible and that we are back on the road to repeating history (and bad history for that matter). I can't do anything about the second worry as I am nobody to the government even if I can get the message to them, but I can do a lot about the first worry and profit handsomely from it. Currently, an insane amount of money is pouring into bonds -- even Iya Basira is being enticed with the FGN Savings bond -- when all these money realise something is amiss they are going to want out. And a good portion of it, especially from the institutional investors, will head straight for the stock market. So what I am going to do is to position well in the stocks market, take out all my remaining fund in the bonds and money market, and put them into the stock market. Just today, I have analysed the potential stocks to invest in and I am settling for Total, Zenith Bank, Dangote Cement and Unilever. Would have added Nigerian Breweries if I wasn't too religious and not trying to close the door to my being a saint someday. And in another news, I will be starting a series of posts on stocks to avoid. I figure out that it is a lot easier to write about what is wrong and should be avoided than writing on what to do (which stock to pick). So stay back and watch out! 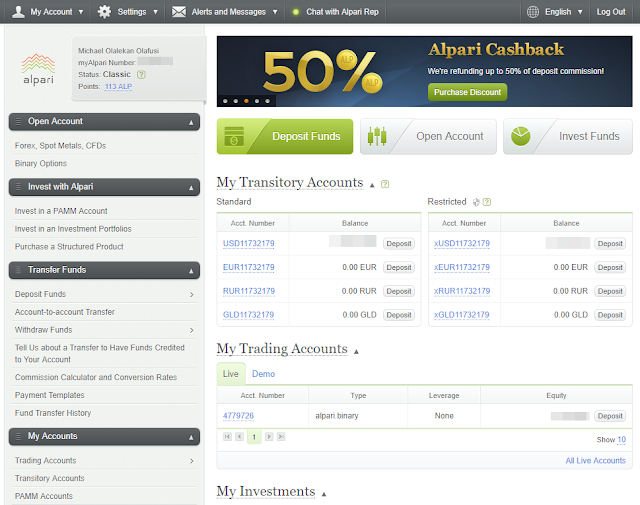 This week I set up a new forex account with Alpari. I had done some forex trading before, 2014 to 2016, and lost all the money I put in. The painful part is it was just when I thought I had figured it out and had patiently traded with some gain for more than eight months, then in days I lose everything. I managed, though, to come away with one strong learning -- I can't successfully do manual forex trading. So I had given up trying to trade myself. This leaves me with two options -- use an automatic always on robot trader or invest my money with successful traders sharing profits with them (called PAMM investing). PAMM stands for Percentage Allocation Management Module, a very long phrase for you sharing the profit with another trader who you let trade with your money and you bear all the loss (can't share that one with the trader). I already have some experience with an auto robot trader, all the small consistent profit I made during my almost two year stint with active forex trading were by an auto trader software I bought and run almost always. 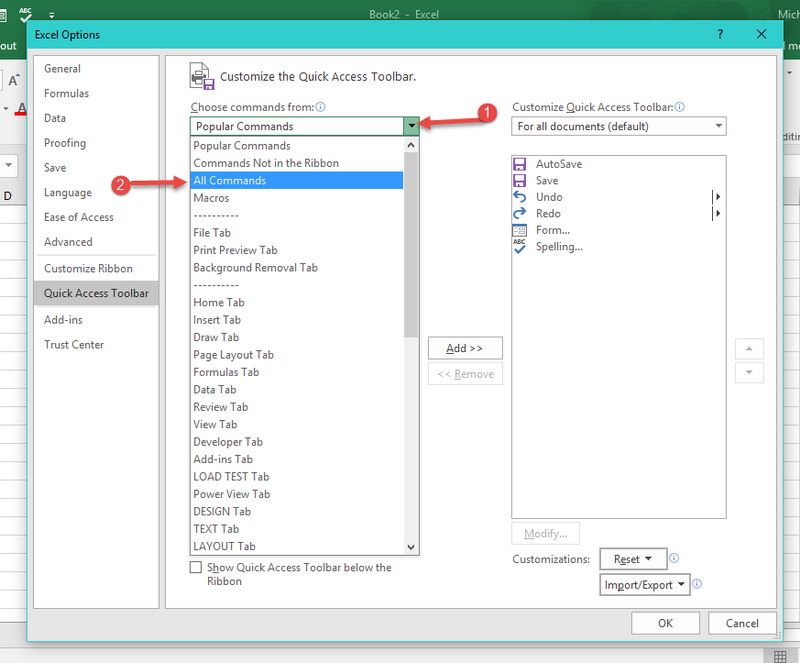 It required my laptop being always on and connected to the internet, then I must remember to start the trading application every time I restart or power on my laptop. This time I decided to go with the PAMM one. And so far it's giving some good results. Already making profits in just two days. The main advantage to it is I can forget about it. Go on with my other hustles without negatively impacting how that investment does. The main work is upfront, picking a very reputable forex broker that has a very robust trading and investment system with enough long-time traders with verifiable results of their trading success in the PAMM system. Alpari managed to edge out the others I checked out and the one I previously used (instaforex). And that's not the end, you have to also pick a PAMM manager who has over three years consistent success and not very volatile trade results. Again, I managed to find a couple on Alpari. Unfortunately, past result is not a guarantee of future success. But that is all I have to make my decision. So now, I am back into the forex trading. I consider it as part of the speculative portion of my investment portfolio. I am also adding cryptocurrencies in that speculative mix. Already made up my mind to do Alpari's Crypto Fund that allows me to invest $100 and above in a cryptocurrency fund that is 40% Bitcoin, 30% Ethereum and 30% LiteCoin. I am just waiting for a good enough crash of the cryptocurrency market, then I'll invest for the long term -- years. The same way I do with my stock investments. I still have the bulk of my investments in stocks and fixed income (bonds and money market). I am a risk lover and rather than go out to parties for adrenaline rush I prefer to have it from taking highly intellectual risks. Trying to predict the financial markets, stocks, bonds and currencies. I can stay indoor for days and get faster heartbeats than the guy at the nightclub. It sometimes make me jump up in the middle of the night to execute an idea. Our beloved Etisalat Nigeria is now 9mobile (9mobile.com.ng). They even managed to make it look like it had always been their plan -- 9 the time of birth, 9 the years they've been in Nigeria, 0809ja. But we all know better. We all have one thing to learn from the current sad situation of Etisalat Nigeria. And it is how dangerous taking on debt can be. It is not only companies that can be crippled by debt. Individuals, you and I, are not immune to its charm and harm. Remember my recent talk about getting a credit card so I can access interest free loans to put in treasury bills (money market actually). If not that all the banks I went to -- Diamond bank, FCMB, Stanbic IBTC, Standard Chartered and First Bank -- all gave me stupid conditions like I must have a cash collateral of more than the limit on the credit card in a separate account, savings extra or fixed deposit account, before they would give me a credit card and I must service the card with new money aside the cash collateral or I risk being labelled and reported as a loan defaulter. It made absolutely zero sense so I gave up on the credit card mission. It seems it is only easy for salary earners whose company already worked out a scheme with the bank to allow credit facilities to their staff. I have one such friend, he got the card from Standard Chartered and they were the ones begging him to have it. He is able to access N2 million interest free for 55 days. He was the source of my envy/desire. See how easily I rant about the credit card. I still belief it would make a lot of sense for me to have that loan facility. I have another friend who borrowed N400,000 from me in March and promised to pay back in two months. He originally wanted N800,000. It's not yet two months. And I understand. He is a business man like me. None of us could have predicted how tough business has been this year. Even I who was singing seven years of plenty just last year had to remix the song this year. Imagine if it was a bank loan. 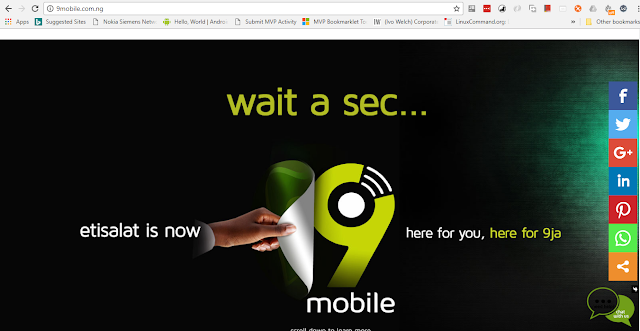 Then you are already imagining Etisalat. How what made perfect sense when you were about doing it suddenly didn't turn out as expected. And what I want to bring out is that it can happen to anyone of us. To some people, it is doing an expensive Masters. They use up their life savings and even borrow believing they would be able to quickly make lots of money back from the increased earning power the degree should give them. To another some, it is buying a land. Mortgage or the high interest rate unregulated version of it that's now popular. And we still have people who take loans to buy car. Whatever it is you intend to borrow money to have upfront and pay back gradually later, remember Etisalat Nigeria and ask yourself, "Am I not chasing a 9mobile moment?" 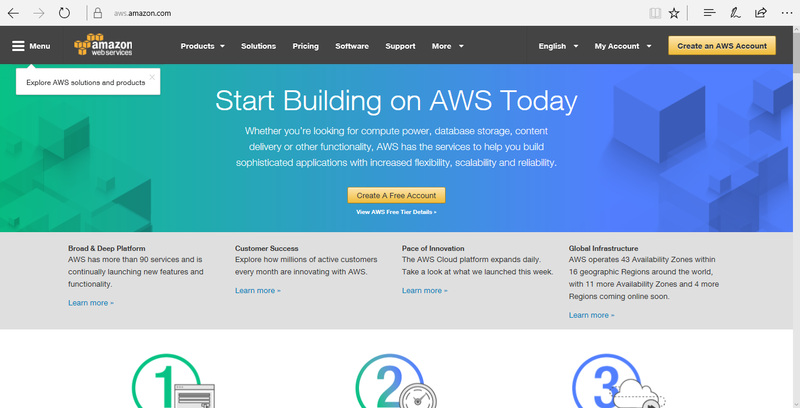 Today, I finally joined the AWS train. 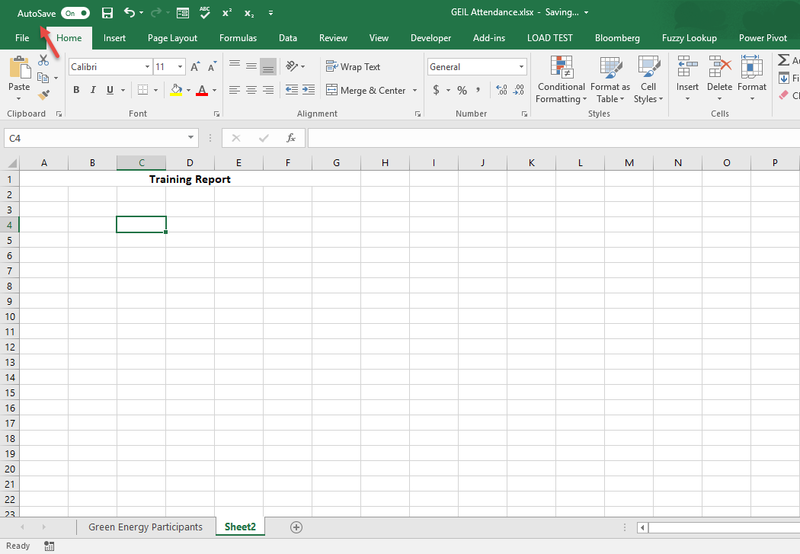 As part of the big data analytics project I am working on for a client, I would need to host a cloud server to mine data off Twitter and Google, saving them daily in a CSV file. 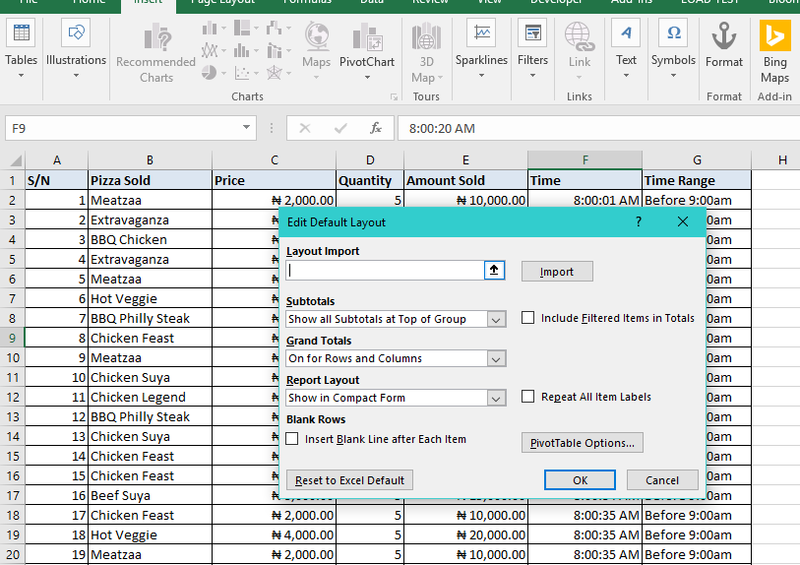 Ordinarily, I would have used my laptop as the server for this task, but since this is a commercial project and I can pass the cost to the client, I have to use a dependable affordable virtual server. I then went on Google to search. I didn't want to go with Microsoft Azure as I have issues with the payment system and I heard Azure isn't the best pocket-friendly option for a very small business. 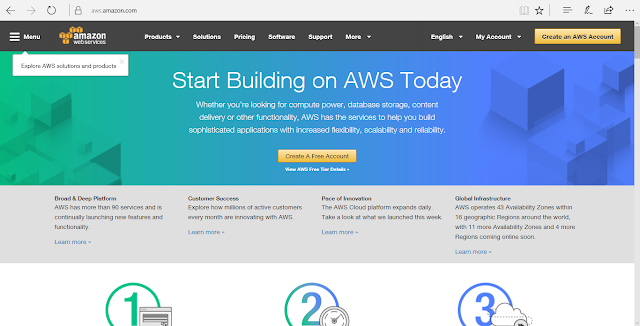 I stumbled on Alibaba Cloud Service but before long I settled for Amazon Web Services. Setting up was really easy; easier than I expected since it was common statement online that AWS is not as straightforward to use as Azure. Now having experienced both, I disagree. I used the EC2 service and created a t2-micro Windows Server 2012 R2 instance. 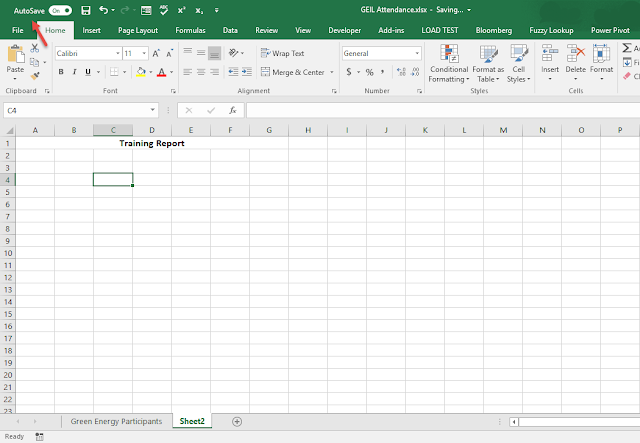 On connecting to the Server via Remote Desktop Connection, I set it up for my data analysis work. 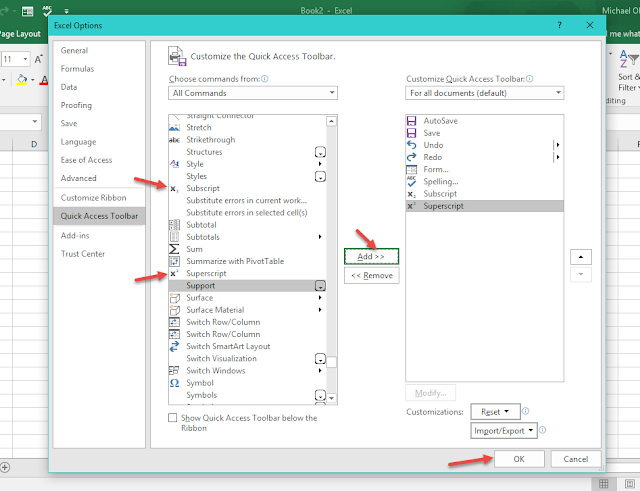 I installed Microsoft R Open and RStudio for my R based data analytics work. And I installed Anaconda and PyCharm for my Python based analytics work. Below is how my server setup looks like. 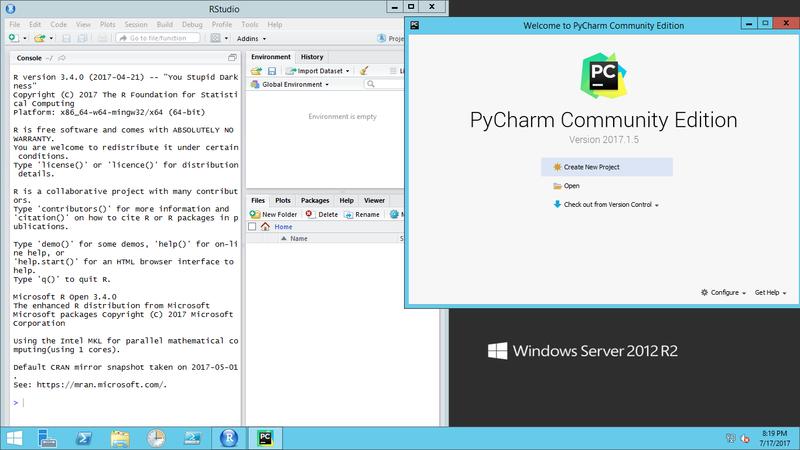 I even pinned my commonly used tools to the taskbar -- Powershell, Task Scheduler, RStudio and PyCharm. What is left is how to estimate how much this would cost me per month and if I would need to automate startup/shutdown of the server to save compute time/costs. Some aspect of the startup/shutdown decision will depend on if Twitter approves my request to get unrestricted access to their Tweet database and don't charge me some crazy amount. I have already initiated the request and they have requested I provide them some information they will use to decide whether to grant my request or not. My current way around the limitation in how many tweets per 15 minutes I can scrape is to run the scrapping script every three hours, and still I think I don't get enough representative tweets and some tweets keep showing repeatedly. Overall, I am loving my new adventure into the deep side of data analytics. And I will always keep you all updated on my progress and share my learning.